Last season's goal king, Godwin Obaje, is in-form. Can he score against MFM? There is no room for a boring moment in the week 22 fixtures of the Nigeria Professional Football League (NPFL). The clash in Agege, Lagos between MFM FC and FC Ifeanyi Ubah leads the actions for the weekend. Abia Warriors, basking in the euphoria of their big margin win over Rangers, are on a road trip to Katsina for a date with the Change Boys. Rangers on their part welcome Nasarawa to Enugu while Wikki Tourists await Ladan Bosso’s El-Kanemi Warriors in Bauchi. Another talking point for the week is the cracker in Calabar. Table toppers, Plateau United will be guests of former NPFL champions, Enyimba FC. The reverse fixture produced an unfortunate result for Gbenga Ogunbote, but that was when a measure of tryouts was going on within the dressing room of the Aba Giants. Matchday 22’s meeting will be a harder test for the Jos side and how prepared they are to end their title drought or lift their first title in history, if you like. Remo Stars v Gombe United is no less a tough game. The homers and the visitors are on the relegation zone and on the verge of the drop zone respectively. Every point counts at this stage, in their struggle to remain in the top flight. Interestingly enough, a Western Derby is in the offing. Sunshine Stars are in Ibadan to battle Shooting Stars Sports Club. One can not say the both clubs have been imposing, but Sunshine are safe where they stand on the log, while Shooting are tipped to join the second tier of Nigerian club football if they have this stream of form going for them. 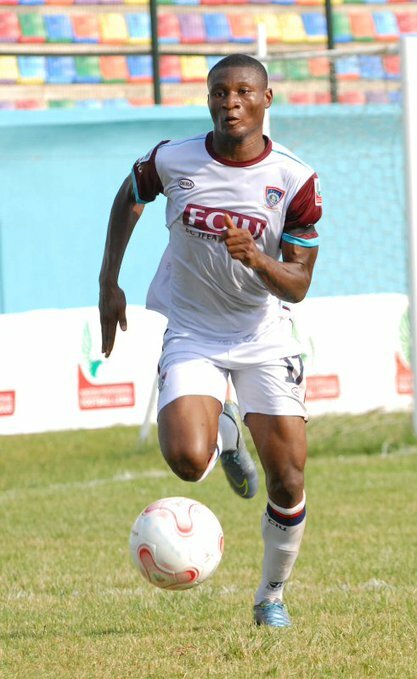 It was in Nnewi, on Matchday 2 that MFM suffered one of its biggest defeat in the NPFL. Goals from Ivorian Yaya Kone, King Osanga, Jimoh Oni and Ifeanyi Onuigbo helped the Anambra Warriors demolished the Church Boys and handed FC Ifeanyi Ubah their first victory of the season. MFM FC’s performance was as terrible as the score line on the day; a show the visitors were not proud of. Fast-forward to Match day 22 and MFM FC are just a notch below FC Ifeanyi Ubah in the top four. The Lagos side has garnered 34 points so far and is placed in the fourth spot. Interestingly, the visitors have same number of points from as many games and occupy the third position. 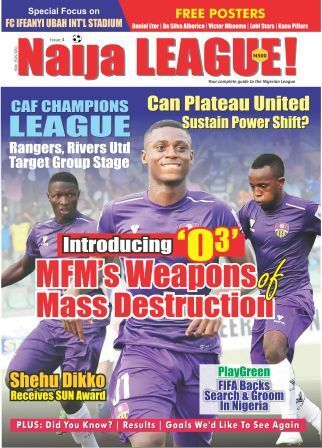 The absence of their leading front men: Sikiru Olatunbosun and Stephen Odey can arguable be the reason for MFM’s lack of productivity in front of goal, lately. Thanks to their non-inclusion in the Super Eagles squad for the AFCON 2107 Qualifiers against South Africa, the duo are back and might be available to fit into Fidelis Ilechukwu’s plan on Sunday. 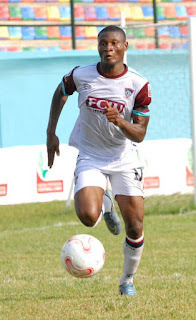 FC Ifeanyi Ubah come into this game with a reputation of the enduring the longest unbeaten run this term. Eight games that is. Yaw Preko’s lads are apparently in form and will be a hard nut to crack for their host. Their last game on the road, they dominated, defeated 3SC 3-0, but that’s not to match 3SC’s routine with that of MFM. It’s a game where all eyes will be on. The winner will move above the other since they are but leveled on points going into the game.